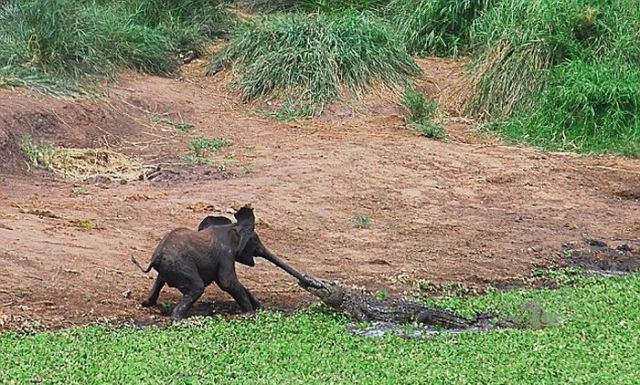 This baby elephant was attacked by a crocodile in South Africa. 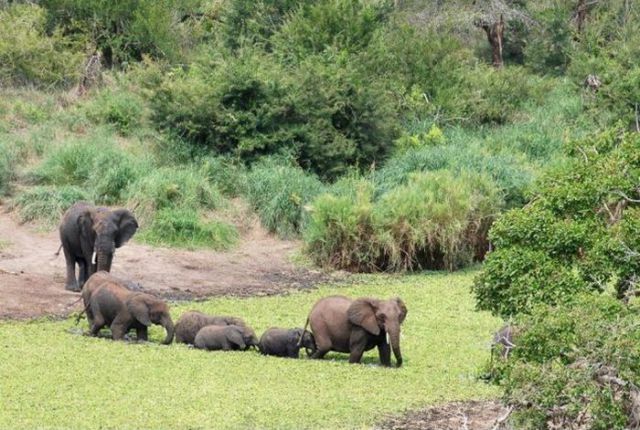 It didn’t take long once the cries from the baby elephant were heard for a whole herd of elephants to come to the rescue. The leader of the charge was probably the female matriarch of the herd. di you know only indian elephants are the only kind that can be trained? 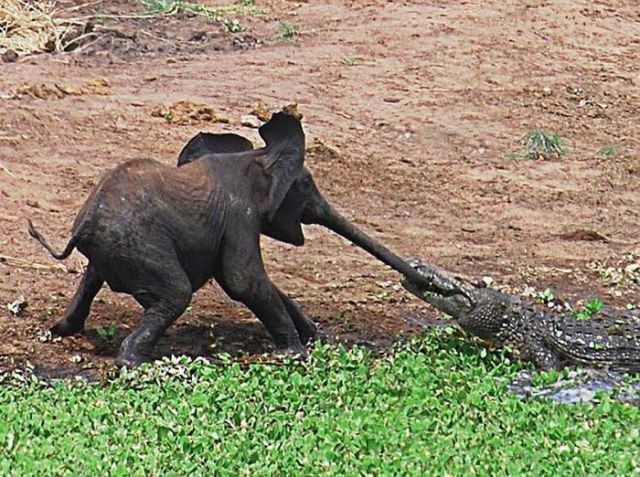 An African elephant has never been. 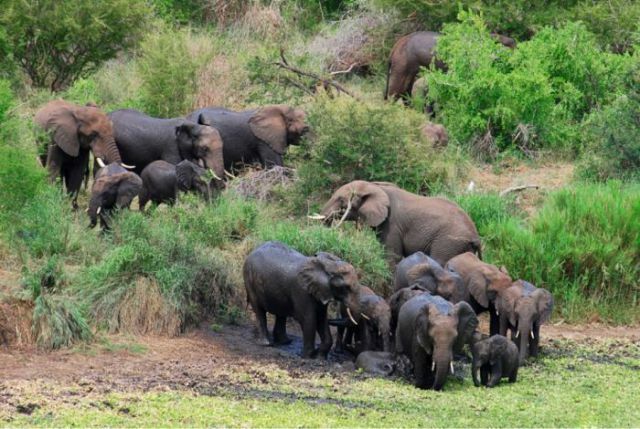 1# The African elephants can be trained, the Indian elephant has by far the longer tradition of service to humankind however..